Charlene is a popular and acclaimed British presenter for ITV News' flagship 6pm show. Charlene is the face of ITV News London's flagship broadcast at 6pm, providing the daily news as well as weekend national news programmes for ITV News. Charlene has hosted a multifarious conglomerate of stars, including Prime Minister David Cameron, music star Beyonce, and film hero Will Smith. Charlene is a British news presenter for ITV News London's flagship 6pm show, and weekend national news programmes for ITV News. With an impressive and multifarious résumé, Charlene has interviewed major political figures such as David Cameron, Tony Blair and Gordon Brown, global music stars such as Jay-Z, Kanye West and Beyoncé, and film and literary figures including Maya Angelou, Will Smith and Daniel Radcliffe. In her career, Charlene has hosted special programmes including a BBC Radio special after the 7/7 bombings in July looking at the Islam in Britain. She also hosted ITV London's rolling news programme the day of the Woolwich attack in May 2013, and anchored a special ITV News London show live from Trafalgar Square the day after Nelson Mandela passed away. 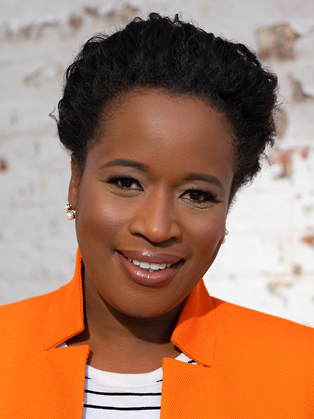 Charlene has also anchored 6-hour BBC radio broadcasts from Notting Hill Carnival, Trinidad Carnival and London Fashion Week. Charlene has also worked as a features writer for the York Post in Manhattan, she's the journalist in residence at London College of Communications and regularly teaches there.